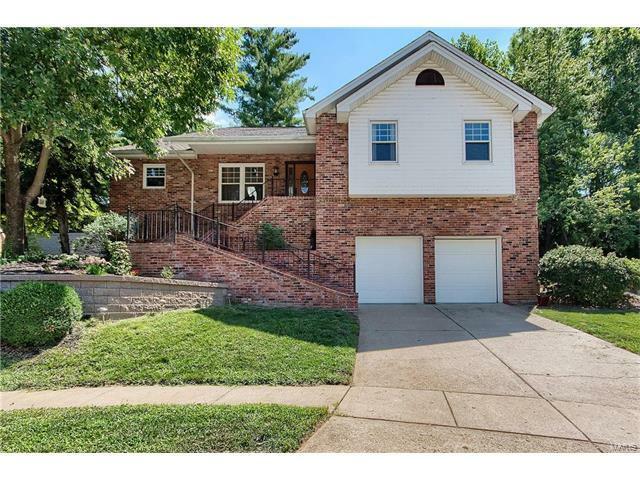 Location, Location, Location...Darling updated vaulted great room ranch. Wide open floor plan, nicely updated kitchen with breakfast bar, granite countertops and stainless steel appliances. Vaulted ceiling's ,skylights and a wood-burning fireplace complement the wide-open family room . Large Master suite with double vanity, oversize tiled shower and ceramic tile floor. Three large main floor bedrooms , large hall bath with adult height vanity and double sinks. Nicely finished lower Level with 9 foot ceilings , oversized bonus room with bar and half bath . Oversized two car garage . Nice deck for entertaining just off the kitchen with plenty of privacy. If you are looking for a nice ranch home with a prime location , look no further !